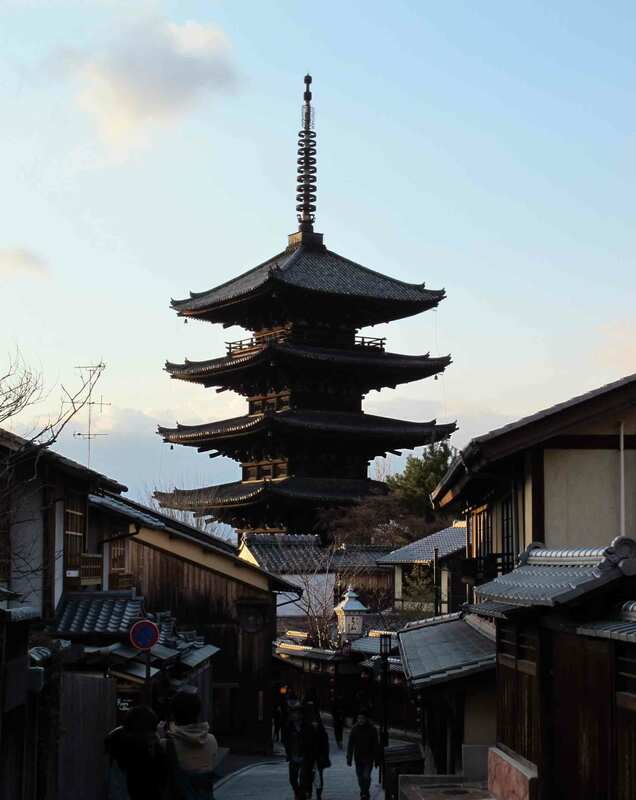 I think it’s fair to say that most visitors to Japan spend at least a little time in the fascinating city of Kyoto which was Japan’s capital for over a millenium. 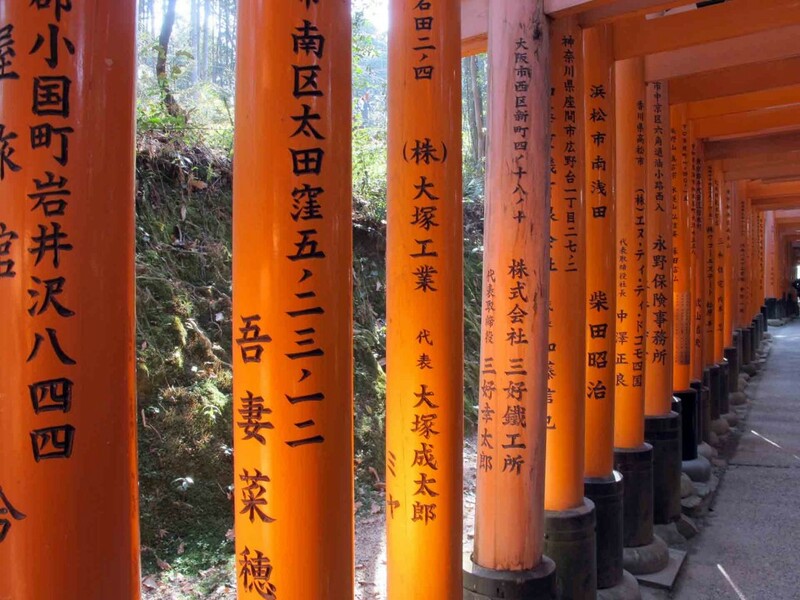 Kyoto is known as Japan’s most beautiful city and it is easy to see why but as it is hugely spread out and hosts an overwhelming number of shrines and temples (some sites put it at 400, others at 2000!) it can be a little intimidating when you sit down to plan your trip…so hopefully my tips over the next two days on my favourite sights will help in your itinerary building. 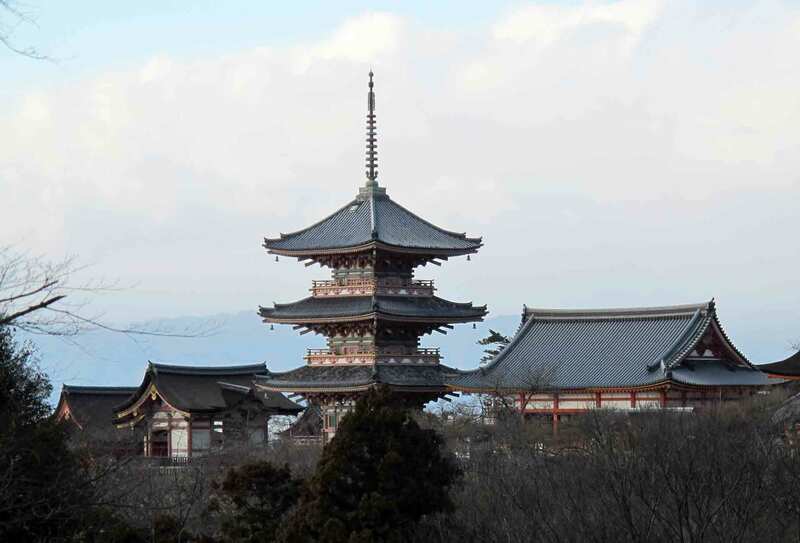 As we had three days in Kyoto we decided to explore it on our own rather than take one of the guided tour buses – I’m sure these are great but I’ve always been more of a do-it-yourself traveller and much prefer being able to take sightseeing at my own pace. 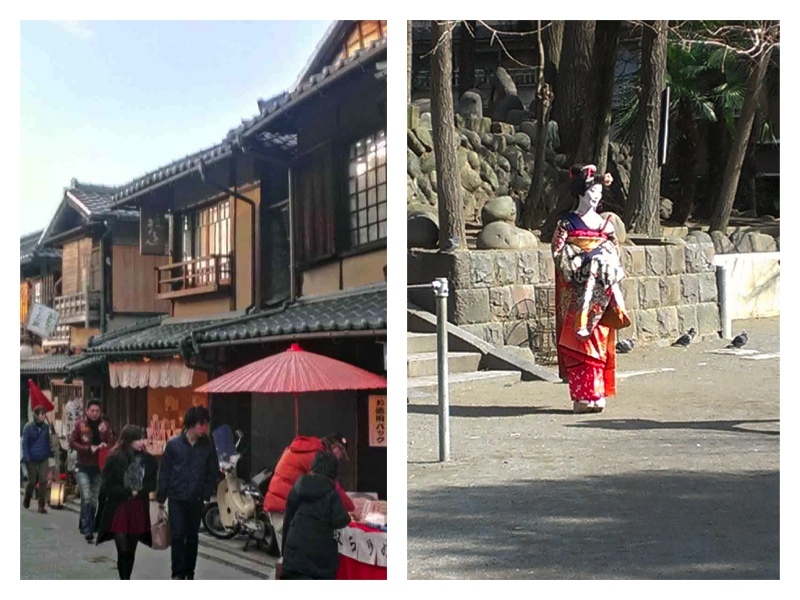 The sights of Kyoto are based in all the different districts of the city but it is easier that you think to get to them all by public transport so if you have the time please don’t be put off but what looks like a huge distance on a map! 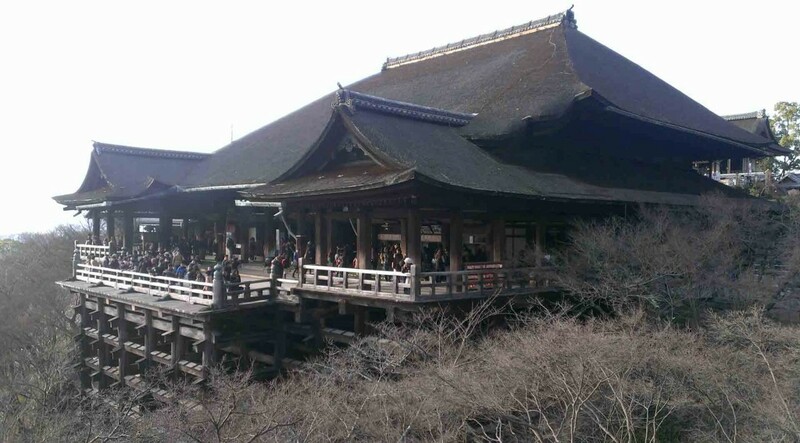 We arrived in the afternoon on a relatively clear day and so, it be February, we decided to take advantage of the certainty and visit the temple which is best known for its fantastic view over the city – Kiyomizudera. 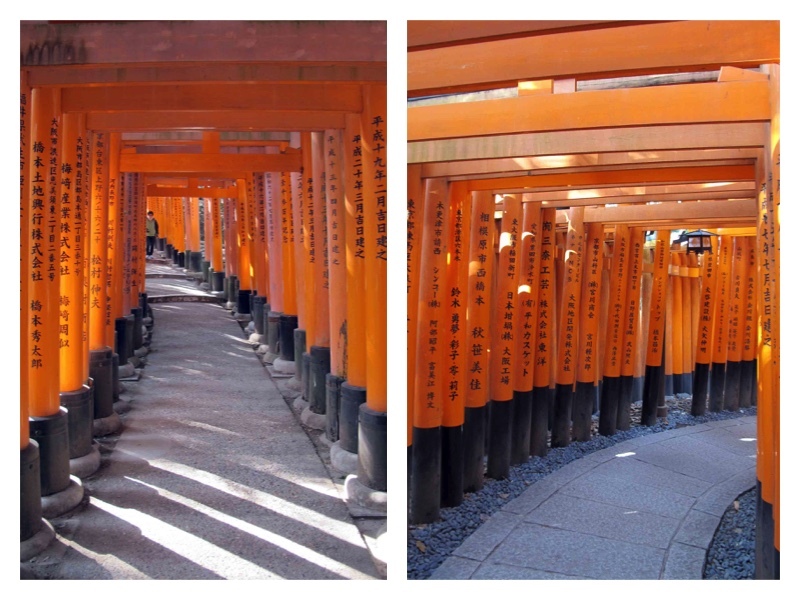 In order to get there you have to climb the bustling streets of Higashiyama which are worth allowing some time for. The seemingly endless trinket shops are very distracting and there are some really good snack shops (including the famous langue du chat) to give you the energy for the walk. The temple has a huge wooden stage (which, along with the main temple, was built without nails!) 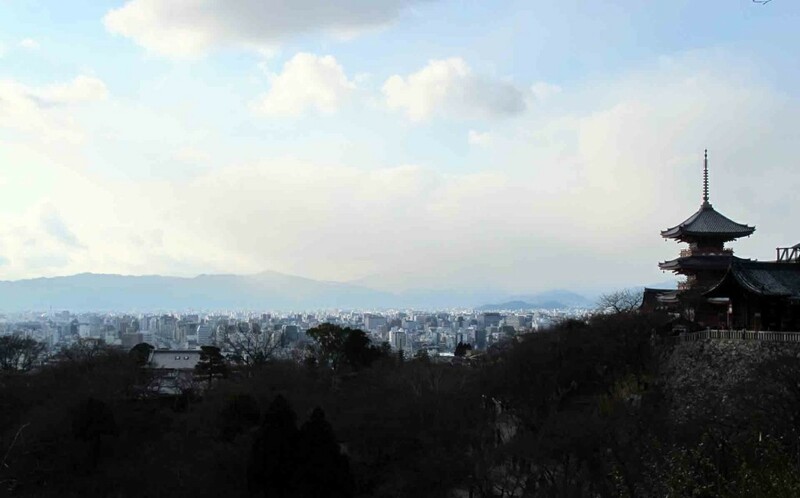 on which you can stand and get a panoramic view over Kyoto city – apparently during Hanami season you look out on a sea of blossom which I can only imagine is absolutely stunning. One of the many good reasons to return to Kyoto. As the sun went down we returned to a delicious dinner and incredibly comfortable room at the Hyatt Regency Kyoto (which I can thorough recommend). The whole shrine itself spans 4km so we didn’t walk the whole way around but even from the short distance we walked (and the hundreds of torii we must have gone through) we got an idea of the enormity of its scale. It really was like nothing I’d ever seen. 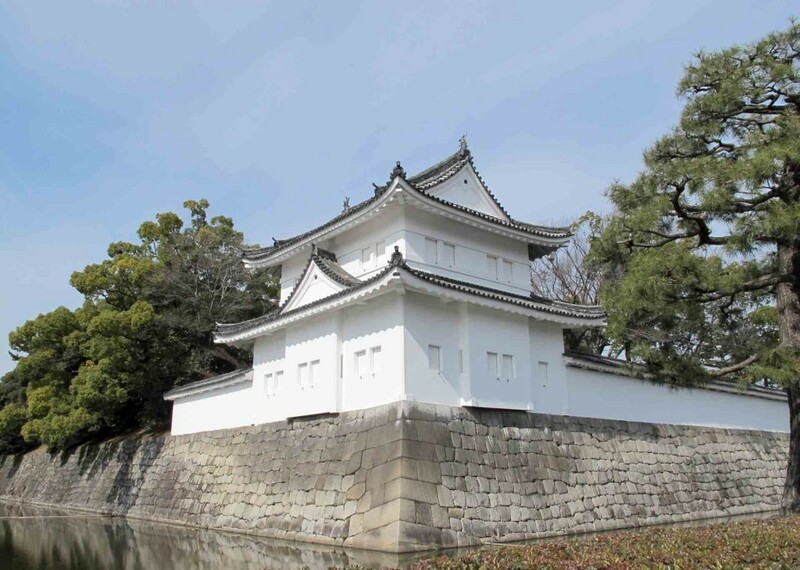 Next we went to visit Nijo Castle (taking JR Nara Line to Kyoto central and then a bus (101, 50 or 9) to Nijo). 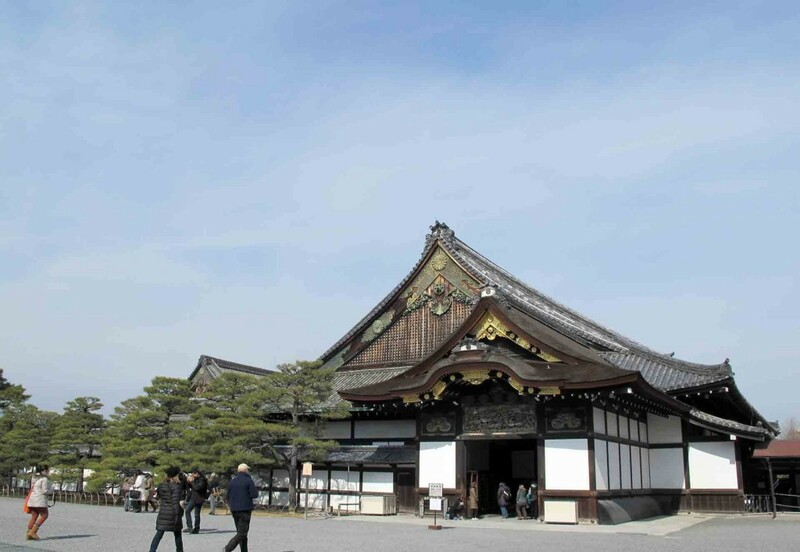 This complex was built in 1603 and served as the residence of the first shogun of the Edo period. 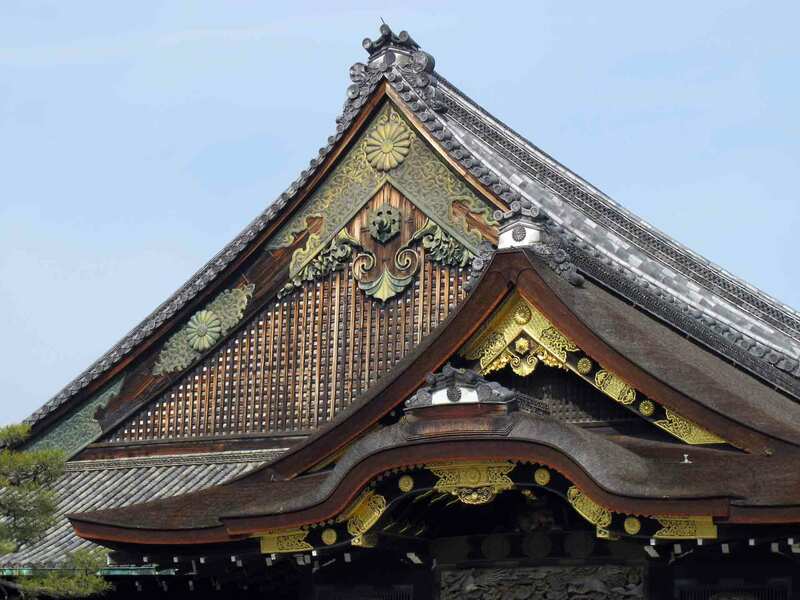 And what really sets it apart from other castles I have seen in Japan is the interior rooms in the Ninomaru Palace which have incredibly beautiful ceilings and sliding doors. These decorative features, depicting flowers, pheasants and tigers are intricate, lavishly embellished with gold leaf and extremely colourful; we sadly weren’t allowed to take photos of so you will have to trust me on the fact that they really are worth seeing! The Palace also features an unusual safety mechanism – so-called ‘nightingale floors’ which were intentionally squeaky so as to act as a warning of intruders. The Castle is set in beautiful grounds, including a cherry orchard and a traditional landscape garden. 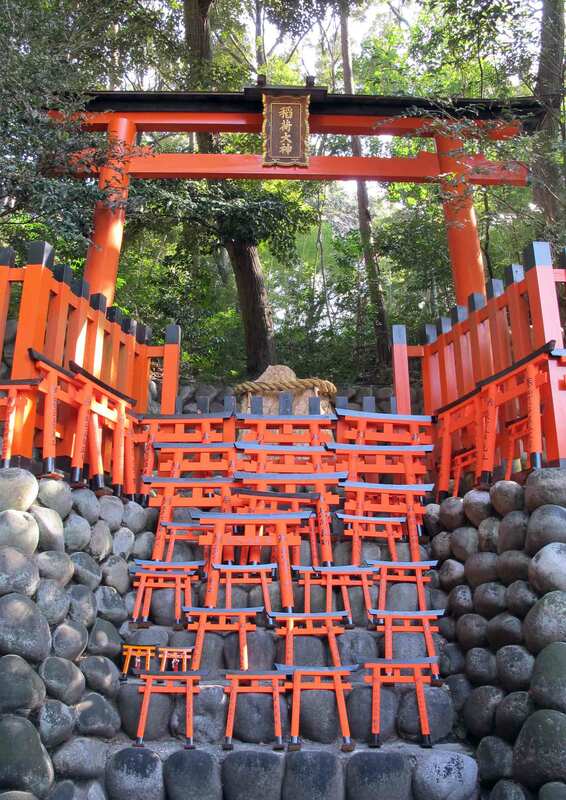 If you are getting shrine fatigue the Castle offers something a little bit different and is worth adding to your itinerary. After a busy morning we treated ourselves to a slap up lunch at Roan Kikunoi. This two Michelin star establishment serves a delicious kaiseki menu (which at lunch time is incredibly reasonable). We sat at the counter where the really friendly and welcoming staff served up delights including the lightest tempura shrimp and vegetable I’ve ever had. It literally melted in the mouth leaving you with the intense flavour of the perfectly cooked inner ingredient. My travel partner had never had a traditional kaiseki style meal before and I think it is fair to say that she was blown away by the experience offered at this restaurant. 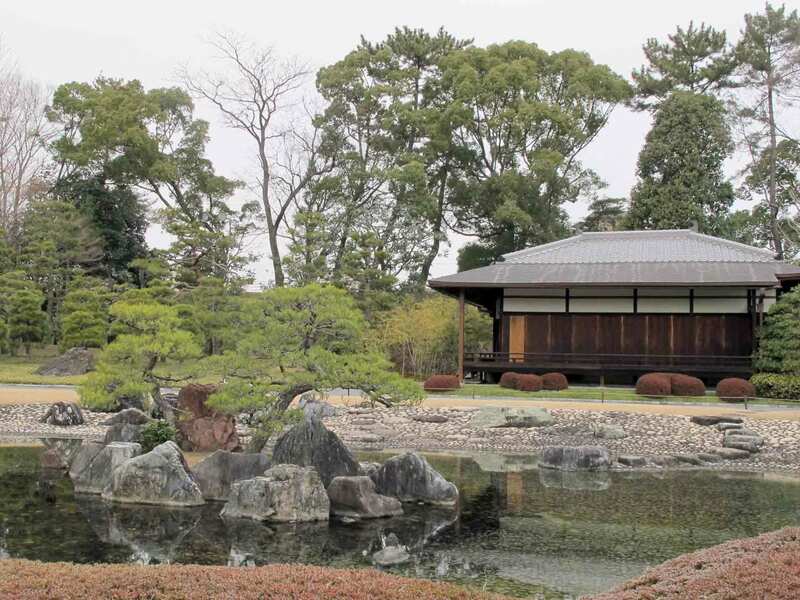 I hope this has given people a few ideas of the top spots in Kyoto – some of the most famous will be covered in tomorrow’s flashback Friday post so please check back in then! This entry was posted in explore, Uncategorized and tagged culture, Japan, Kyoto, Michelin Star, Roan Kikunoi, shrine, shrines, sightseeing, temple, temples, Throwback Thursday, Two Michelin Star, unesco. Bookmark the permalink.